On any given day, it’s highly likely that somewhere on your daily commute, you will see a 3-series or 5-series BMW being driven. One of the most recognised brands in the world, the German manufactuer have seemingly pulled off the impossible in recent years; they have managed to retain their image and desirability, despite sky-high sales figures which indicate that BMWs are more prolific (or common?) now than they have ever been in their long history. One BMW model that you won’t see very often, however, is the 8-series. Developed during the late 80s, given the designation E31, and launched in 1989 as a replacement to the ageing 6-series, this mammoth super-coupe never quite managed to achieve the sales figures that BMW would have liked, making it something of a rarity to see on European roads nowadays. The lacklustre response from consumers was no indication of the car’s abilities, but more a reflection of a poor pricing strategy (and unfortunate timing) on BMW’s part. With a global recession affecting all target markets just as the £85,000 8-series was released – a scarcely believable £199k in today’s money, when adjusted for inflation – demand was unsurprisingly scant. With kerbweights starting from 1800kg and aspiring to fulfil both GT and sports credentials, BMW was not hesitant in imbuing the 8-series with an engine befitting its size and status. 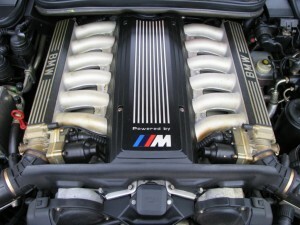 The E31 was initially released with a 5.0 V12 developing around 300bhp (the 850), though this was later enlarged to 5.4. However, only 2 years after its release sales had dropped substantially and BMW recognised that a more economic ‘entry model’ may help reverse the E31’s fortune, so some prototype 830i models were developed. Although their engine spec was never officially revealed, it’s widely believed that this model utilised the 300bhp+ 3.6 engine from the E34 M5. Perhaps keen to stick with at least an 8 or 12-cylinder layout for refinement and exclusivity, BMW eventually binned the 830 and instead went with a 4.0 V8 for the 840 model. Again, this engine was later increased in capacity to 4.4 litres. As with most of their key models, BMW had envisioned that a full spec M-division version of the car (christened the ‘M8’) would ultimately be released at some point in its future. This would have been a flagship model not just for the 8-series in general, but for the entire BMW range, with power, ability and style far beyond the likes of the M3 and M5. However, early market response to the idea was poor and BMW management decided that the car would likely be a commercial failure; thus, the project was shelved. In a bid to preserve most of the development work which had already been completed, they did however decide to launch a new edition in the range which would retain many of the suspension and powerplant changes developed for the M8, abeit without the rumoured wide-body modifications and without the full ‘M’-car label. This is how the CSi came to be. Rare as the E31 is in general, it’s even rarer to see the CSi model on any roads – only 1510 units were sold worldwide, and it’s estimated that there are only 49 in the UK. Hauling the 1865kg CSi around required some serious engine power, and BMW provided this in the form of the S70 5.6 litre V12. One of their more sublime engine designs, this unit provided some of the DNA for the engine which would later find its way into the McLaren F1 supercar. It also bore the coveted M-division internal engine code (‘S’), which all but confirmed BMW’s earlier intentions to release it as an official M-car. 380bhp along with 402lb/ft of torque allowed it to crack 60 from a standstill in 5.5 seconds, with a theoretical top speed of 175mph – as with all fast BMWs, the CSi was restricted to 155mph. Unlike the 840 and 850 models which were more popular in auto form, the CSi’s V12 was mated to a 6-speed Getrag manual gearbox, perfectly placed to maximise its performance credentials. Many who have driven the CSi have agreed that the performance figures (whilst impressive) do little to convey just how smooth and torquey the V12 is. Capable of cruising comfortably at 140mph and fulfilling it’s Grand Tourer brief, the engine also has a vigorous mid-range pull which encourages keen drivers to work the gearbox on twisty roads, and incredible low-speed tractability. There is an infamous video on Youtube which emphasises just how refined the 12-cylinder is, with the car’s owner standing a coin on top of the engine and recording how it remains perfectly balanced even as the engine RPM rises. Power without control is meaningless of course, so the steering, suspension and brakes also received some tweaks, as with all ‘M’ versions. The power steering was reconfigured, while the fully independent MacPherson strut front/multi-link axle rear suspension was lowered 15mm and mated with stiffer springs, shocks and bushings. A shorter ratio LSD was also installed, as were larger ventilated brake discs. BMW also decided to install a rear-wheel steer system on the active rear axle of the 850, technology which was not common to any of their model lineups at the time. This modification was available only on European 850 CSi models and allowed for a few degrees of turn in the rear wheels, directly proportional to the lock applied to the front ones, helping the hefty 8-series to sharpen its cornering on smaller European roads. 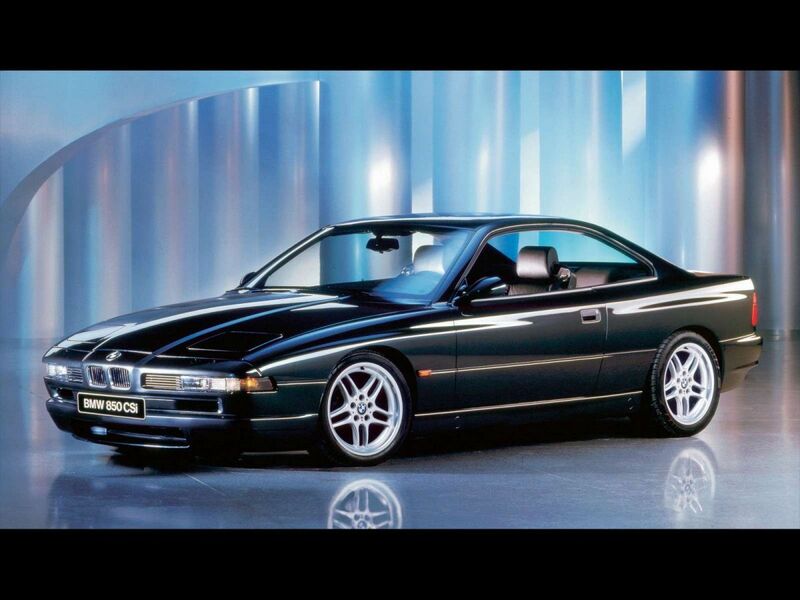 Even in contemporary terms, the 8-series was one of the more distinctive looking BMW models. Instantly recognisable, it manipulated the traditional coupe look; smooth flowing lines were married to sharp edges along large swathes of aluminium panels which were unbroken by functional items (such as the headlight units, which were pop-up ones), giving the car a solid and sturdy look which suggested it had been hewn from granite. One of the more memorable characteristics of the car was the complete absense of a b-pillar. This spoke volumes about the rigidity of the shell and BMW’s confidence in the safety of the car despite the lack of this traditional support point. In terms of appendages, the CSi model was given a slight makeover in the form of an aerodynamic bodykit and new staggered 17″ two-piece alloy wheels. Time has been somewhat kind to the E31, blessing it with an ageless appeal with only the traditional tell-tale points (such as the front and rear lights) giving obvious clues to its maturity. Inside the car, occupants enjoyed a leather-wrapped steering wheel with “M” logo sill trims, coloured stitching, different instrumentation and (optionally) two-tone leather seats. The instrument panel was slightly angled towards the driver, providing a cocooning cockpit-effect, a feature which many BMWs of the time utilised to great effect and which likely contributed to their reputation as a ‘driver’s car’. Despite never achieving the commercial success that it arguably deserved, the 850 CSi is still held in great regard by most people who know of its history and rarity, and who feel the car was more a victim of circumstance than capability. Once labelled as the ultimate BMW, it has been superceded by faster and more modern BMWs, but few have been able to match its overall refinement or the breadth of its proficiencies as both a Grand Tourer and a 2+2 sports coupe. It has been suggested that the M8 would have been the Ferrari 599 or Aston Vanquish of its day; whilst we never got to realise the true scope of BMW’s lofty ambitions, the CSi nevertheless ticked almost all the boxes the //M car would have. With values now rising in much the same way as its younger siblings like the 1M and M3 CSL, there has never been a better time to invest in a true BMW classic. Any fresh pics of your old man's 850CSi? Still a great car even today. See @Artoir 's old 840 is up for sale at the minute on UCNI. 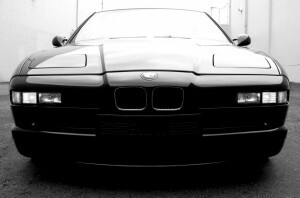 http://www.usedcarsni.com/1996-BMW-8-Series-CI-AUTO-143003696 Such a cool looking car. Nice write up too. | Any fresh pics of your old man's 850CSi? Still a great car even today. | See @Artoir 's old 840 is up for sale at the minute on UCNI. 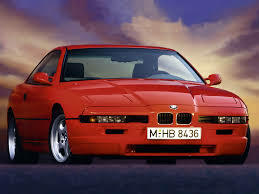 http://www.usedcarsni.com/1996-BMW-8-Series-CI-AUTO-143003696 Such a cool looking car. Nice write up too. Great car for anyone after one. I overhauled quite a few bits while I had it like the calipers and various gaskets, etc. He did mention after I sold it a speaker had blown and it had a bit of a wobble at 55mph,but he may have sorted that. Still a rare sight on our roads. I saw a lovely Dakar yellow 840 for sale recently too, fully kitted. I saw one on Saturday on sydnam road, looked awesome!! Should have bought one @johnb740 ! In saying that, if we all had time machines there are numerous cars we probably should have bought/kept. I remember turning my nose up at an okay-ish E30 M3 some years back, how I wish now I had bought it and cleaned it up a bit.